This is a film about the experience of living with advanced (metastatic) breast cancer. Based on the experience of six Queensland/Australian women and their partners and families, it takes us through the shock of the initial diagnosis and the impact it had on them and their relationships, to the realisation of having to live in a new and meaningful way. It is a story of hope that shows the value of connection with other women and families, and the support gained through a professionally led group. 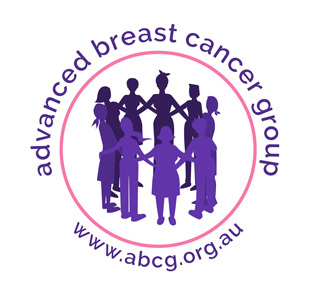 This resource will be of help to women newly diagnosed with advanced (metastatic) breast cancer and to health professionals involved in their care. This film was produced by the Advanced Breast Cancer Group Limited in collaboration with blocmedia and funded by Queensland Health. “This is real women, real families, giving an open and honest insight into how they feel and how they live, coping each day with a diagnosis of advanced (metastatic) breast cancer.” (group member/family member.